The world famous implementation, of the world famous game, written for the world famous interface. 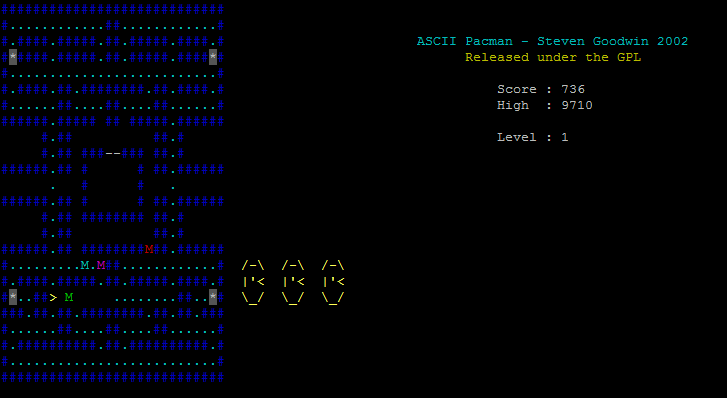 I seem to remember writing this to see if the various ASCII characters could represent the simplistic graphics of Pacman adaquately, or not. Result: I think they can. I'm especially proud of the dying animation.